Yemen's unemployment crisis Jump to media player Following the popular uprising against the government in Yemen and subsequent political crisis, unemployment is now thought to have reached over 60%. 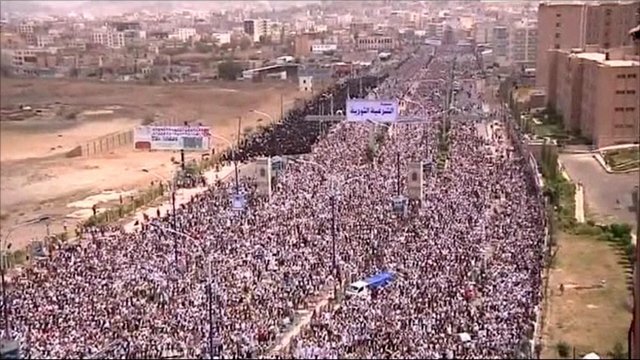 Yemen: Thousands protest in capital Jump to media player Tens of thousands of Yemenis have held another demonstration in the capital, Sanaa, calling for a transitional government to replace President Ali Abdullah Saleh. Negotiations for a solution in Yemen Jump to media player The uprising in Yemen has been hijacked by a bloody power struggle between the ruling Saleh family and another family from the same tribe. Yemen is the poorest country in the Middle East and its high rates of unemployment, corruption and malnutrition fuelled the popular uprising against the government four months ago. However, the political crisis that followed has brought the economy to its knees and unemployment is now thought to have reached over 60%. 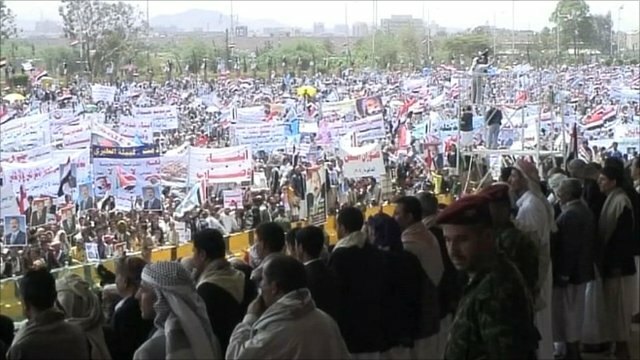 The BBC's Lina Sinjab reports from Sanaa.